since I was very young. of satisfaction, when I consider another creation 'complete'. Erin Simonetti has been weaving beads on a bead loom, for over 46 years. Her methods are unique and create a means of managing warps effortless. Each design created, is handled so the creativity is forefront! Considering how many warps to finalize, in the end, is not why you pick up a bead loom! Erin's Bead Loom Classes, with "L Tech", are held only a few times per year and very sought out due to the lack of such detailed bead loom instruction, anywhere else in the bead weaving world. Every aspect, of this oldest form of bead weaving, is instructed, i.e., starting with the loom construction and why so many choices on the market, the suggested thread, types of needles, how to warp perfectly each time, weft threads and securing on then off again, using a word chart to follow a pattern, setting up your bead palette to handle a large number of bead colors, right through to her unique means to edge, then her personal warp management methods. Her classes tout, --When you cut the cuff from the loom, it will be on your wrist within fifteen minutes!-- Some classes, depending on the project design, offer various forms of warp management and edging ideas. 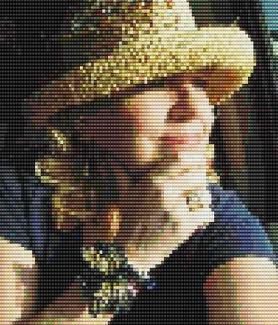 Beyond her teachings, comes a detailed pattern that looks like bead painting. Her patterns are undeniable and she footnotes to not swap out her bead color/finish choices. The bead painting/design, is realistic in color, offering the weaver further insight into weaving multiple number of bead colors, easily. Erin sells patterns in her online shop, but those pattern/designs taught in her classrooms, are exclusive to her classes only. This makes your finished bead art a ‘one of a kind, wearable art’ and include lessons you can carry out in future bead loom weavings. 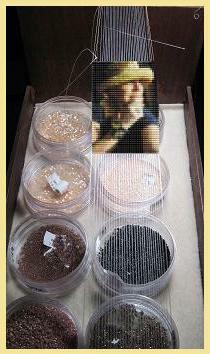 Please consider meeting Erin in one of her scheduled classes and experience a new look at the bead loom. Her schedule can be found here under the Class Schedule Tab. Also, visit her Face Book Page, for up to date creations, conversations. The Events Tab on the FB Page, also offers her class schedule. 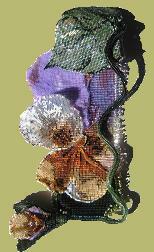 following BeadsBeadingBeaded on Face Book. to begin attempting new and different ideas, within the same art form! "FMG Features My Beadwork in Their Advertisements!" One of the largest jewelery and bead suppliers, Fire Mountain Gems, highlights a few of my "Wearable Art" pieces in their ads. 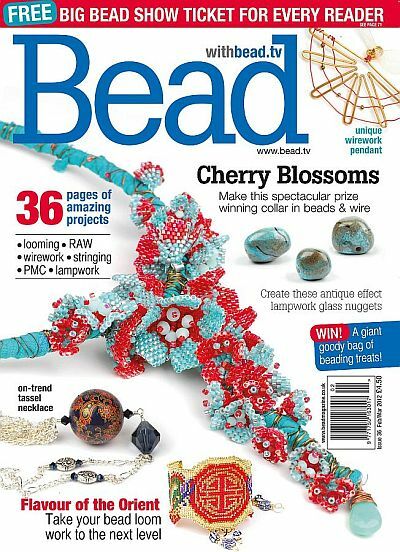 The four samples above, are 'shells' of what is actually published in many 'beadwork' and 'jewelry' magazines. or otherwise, without the prior written permission of the artist."